Whether you’re looking to purify 1 L, maintain the water within your RV or sailboat, or clean and disinfect fruits, vegetables, spinach and other produce, AQUATABS® can help. Ideal for travel / vacations, camping / outdoor sport, adventure racing, first-aid and survival kits, food preparation and emergency preparedness. 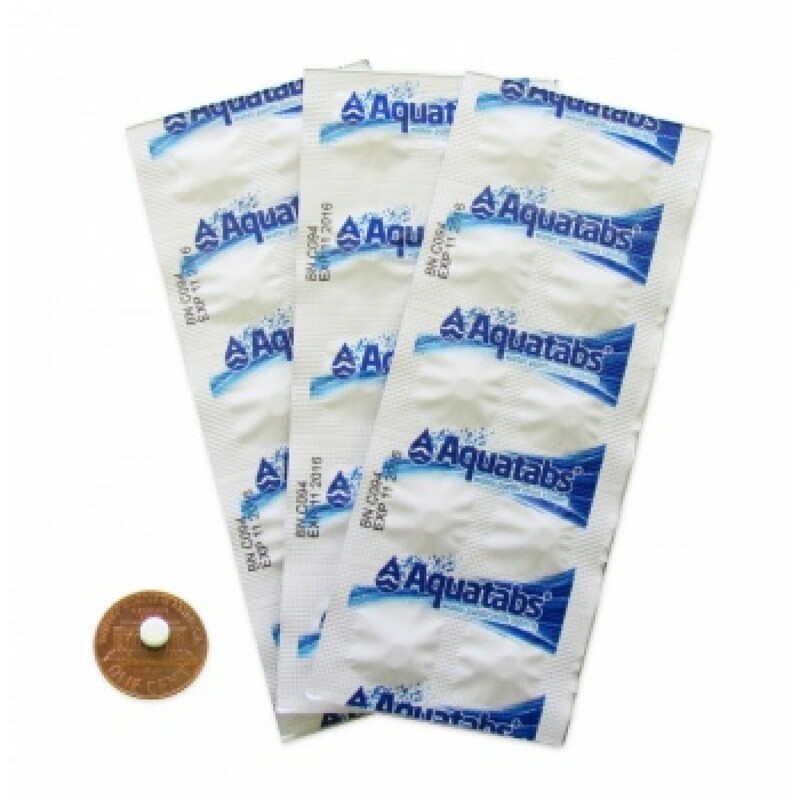 50 x 8.5 mg Extra Strength water purification tablets. Each tablet treats 1 L. Safe, simple, easy to use. Prevent Travellers’ Diarrhea, Giardia, e. Coli, faecal coliforms, Cholera, Typhoid and other waterborne disease and illness. No unpleasant taste or colour. Does not contain Iodine. Made in Ireland. 17 grams per carton. Also includes dosage chart/ information pamphlet. Please read the FAQs for more information. 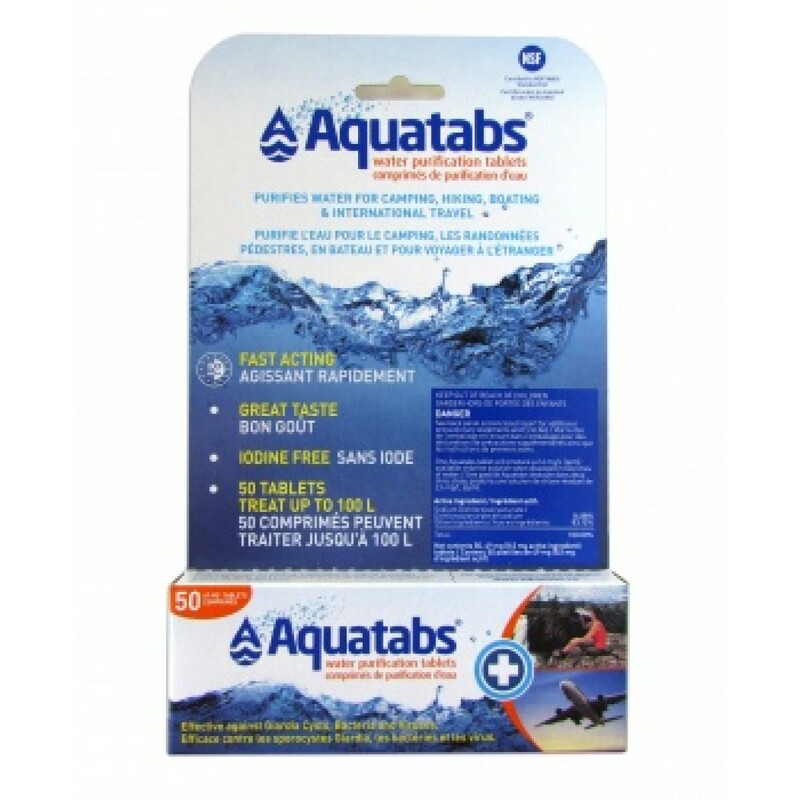 *Please Note that the Aquatabs are usable after that time frame but the effectiveness will diminish. SKU: 1-0015. Category: Water & Purification.